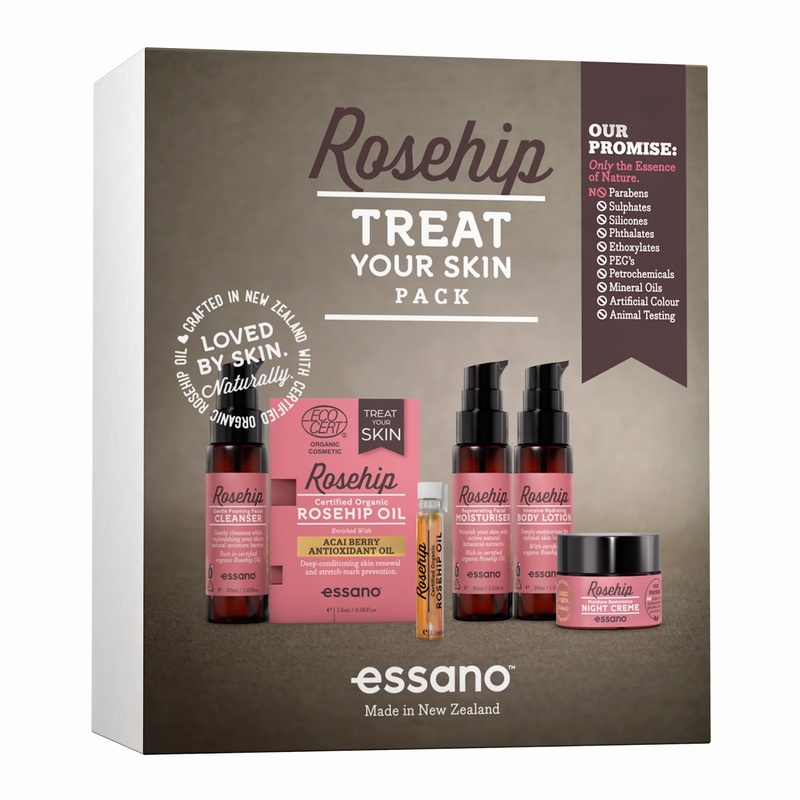 Rosehip by Essano is most definitely in the business of the true beauty ‘steal’, bringing the first Rosehip Oil skincare range to New Zealand supermarkets. It’s star product, Essano Certified Organic Rosehip Oil, will also be the first certified organic skincare product available in supermarkets here - amazing and well done to Countdown! Rosehip Oil has long been known for its healing properties and is effective in the fight against premature aging and all products in the Essano range are infused with Rosehip Oil, including the Rosehip Gentle Foaming Cleanser, Regenerating Facial Moisturiser, Intensive Hydrating Body Lotion and Moisture Restorative Night Creme. The Rosehip Oil is 100 per cent natural and holds the certified organic approval stamp, and comes enriched with Acai berry antioxidant oil for deep conditioning skin renewal and extra, all round yumminess. The whole range is free from parabens, harsh chemical sulphates, phthalates, colours and petrochemicals, doesn’t test on animals and is made in New Zealand. I have five Rosehip by Essano Treat Your Skin packs to giveaway containing mini versions of the whole range - just email me at helene@mshelene.com with your name and physical address by 5pm, Tuesday October 29 and you’re in the draw! Oh, I just read a review on this stuff in The Waikato Times this morning! It sounds really nice.